If you drink PG Tips, you probably have a fondness for those classic chimpanzee commercials. 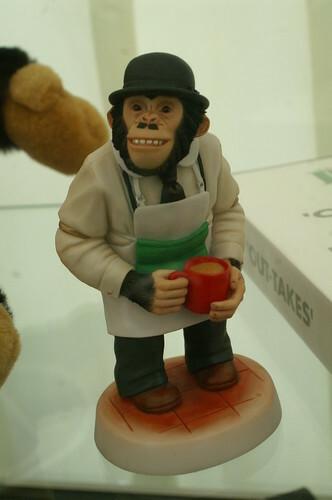 We noticed this chimpanzee figurine picture and just had to share it. Thanks to tim ellis for the image.